Thank you for taking the time to review the plans for the proposed redevelopment of ‘Taff Site’, which sits on the eastern edge of the Jewellery Quarter, Birmingham. 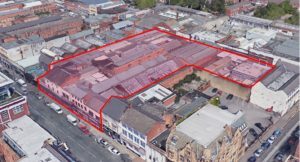 Arcadis (formerly Brooke Smith Planning) have been appointed by Blackswan Developments to pursue the preparation of a detailed planning application to allow comprehensive redevelopment of the site, which is currently occupied by a number of dilapidated industrial buildings. Blackswan are a Jewellery Quarter based property development company, who have been focussing their investment into the JQ area for a number of years, regenerating derelict sites to deliver innovative and high quality residential and commercial space, for local people to live and work. Guilders Yard, Great Hampton Street – 156 residential apartments, with commercial space at ground floor. This scheme sits just south of the Taff Site, neighbouring The Church Inn, and is currently under construction. Hockley Mills, Pitsford Street – 395 residential apartments, alongside commercial space and improvements to the Jewellery Quarter railway station entrance. This scheme was recently granted approval at planning committee, and work is due to start on site in the coming months. Where is the development site? The application site includes the street fronting buildings at Nos. 26-28 Great Hampton Street, and 46-58 Barr Street, as well as a number of industrial buildings which are currently screened by those street fronting buildings. The aerial view below illustrates the red line boundary of the development site. 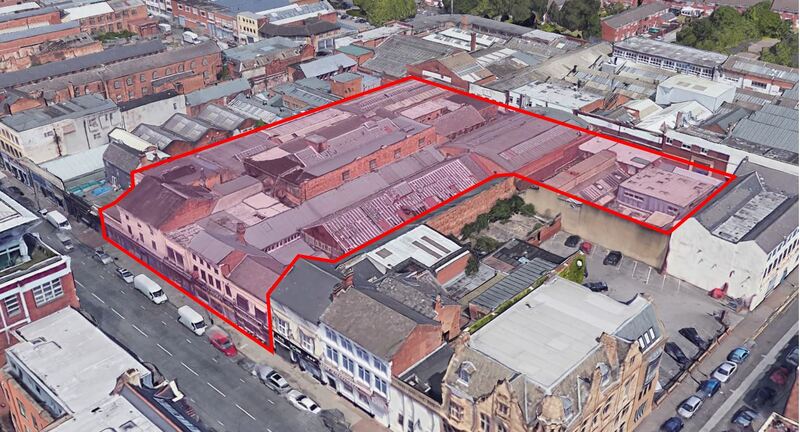 The buildings which currently exist on site are generally of low architectural and structural quality, and therefore present a significant opportunity for redevelopment, to bring improvements to this area of the Jewellery Quarter Conservation Area. What is being proposed for the ‘Taff Site’? 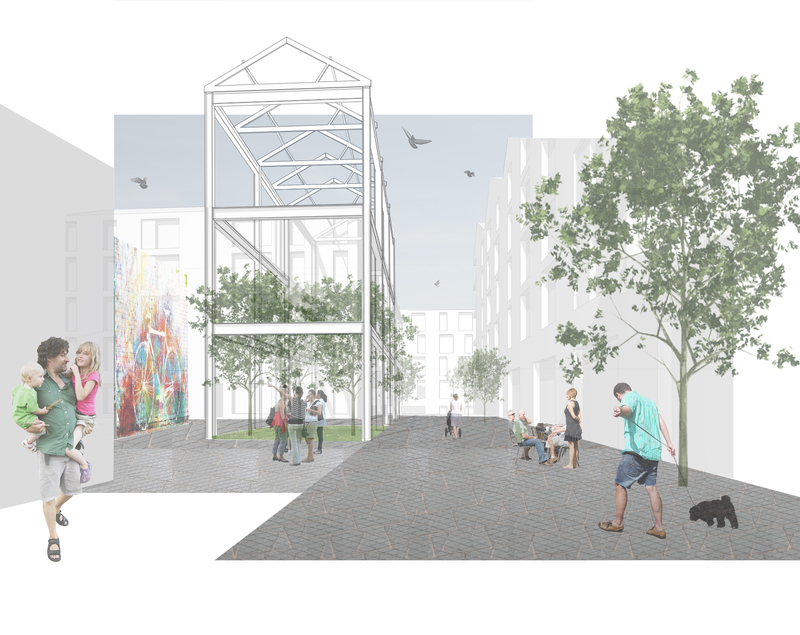 The proposed development will optimise the site area by removing the existing dilapidated industrial buildings, and constructing a residential led scheme, rising to five storeys. 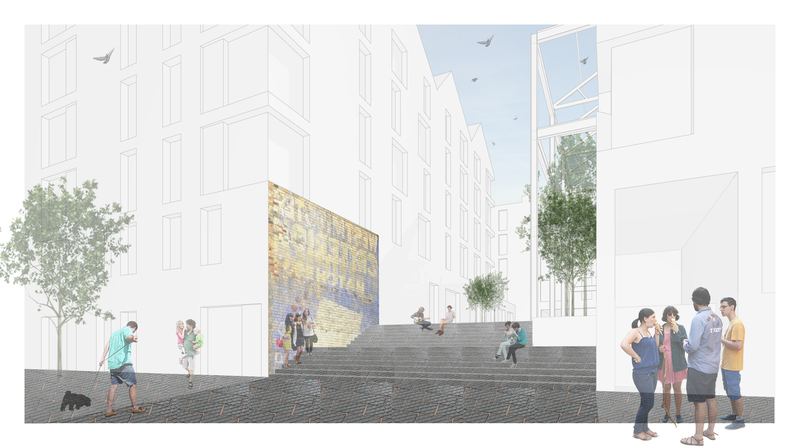 The layout will take account of the historic Jewellery Quarter urban grain, by creating an interesting arrangement of apartments around various courtyards. The existing Blue Nile restaurant will be retained and upgraded as part of a separate planning application. Appropriate noise insulation and mitigation measures will also be introduced, to ensure that existing commercial operators which neighbour the site, such as the Blue Nile and Lord Clifden Public House, are not disrupted. 130 residential apartments, ranging between 1 and 3 bedrooms. Ground floor commercial space, offering a range of unit sizes, suitable for large and small occupiers. Improvements to the Great Hampton Street and Barr Street frontages, creating attractive and safe pedestrian links. A high quality and attractive residential environment. A communal central courtyard with landscaping. Integration of historic features throughout the site to reflect the Jewellery Quarter character. On site parking dedicated to residential units. Follow the links below to view some visuals which give an idea of the overall architectural style and layout of the scheme, although the finer details are still being progressed. How can I comment on the proposed scheme? Whilst the proposals have progressed somewhat over recent months, the scheme is still a work in progress. We recognise that input from local people can be invaluable in developing new places. As such, we are now seeking the views of the local community and other interested parties. Any comments received as part of this consultation will be considered as the proposals progress. If you would like to share your views, please complete the online questionnaire, by following the link below. 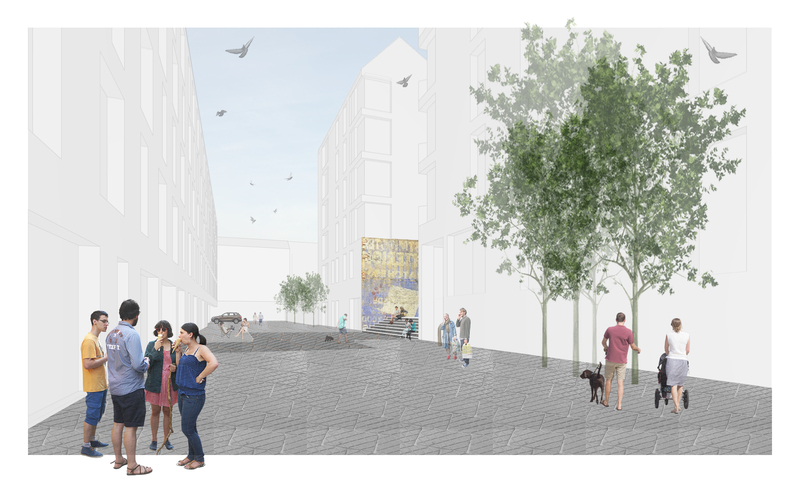 Once the application is submitted, Birmingham City Council will directly consult with local residents again to obtain views on the scheme which is formally submitted for consideration.